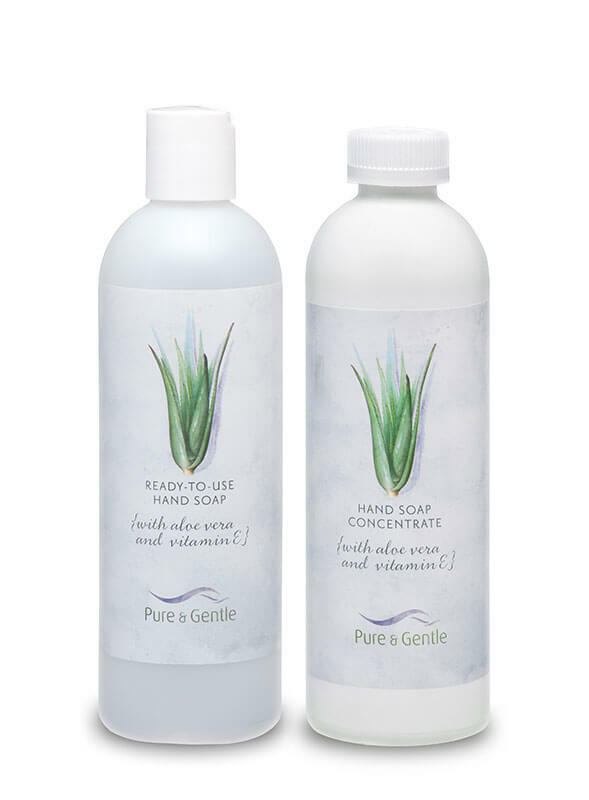 Econcentrate Hand Soap is formulated natural ingredients and is enriched with aloe vera and vitamin E. The eco friendly packaging reduces environmental impact by as much as 75%. Dye Free and Phosphate free. Econcentrate hand soap is the right environmental choice.